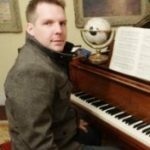 Prescription for Sleep: Game Music Lullabies is an arranged album released by the new label Scarlet Moon Productions. The album takes a variety of tracks from different games and reinterprets them under the skilful playing and improvisation of pianist AYAKI and saxophonist Norihiko Hibino (who are together known as GENTLE LOVE). Although it is marketed as a collection of lullaby arrangements (and they can certainly succeed at putting one to sleep if desired), the tracks are enjoyable and interesting on their own, thanks to variations and expansions that the original melodies go through to transform them into a relaxing landscape. Firstly, the song selection is great, representing popular games with songs that for the most part are not often arranged by others. Although the ten tracks on the album all come from different sources and composers, the arrangements are given a similar and cohesive and style. The tracks open with the melody and a form of the original arrangement adapted for the saxophone and piano. 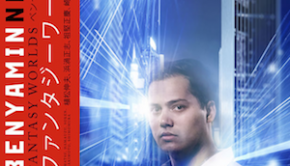 A few light sound effects are scattered around the album to good effect. As the pieces progress, the musicians begin to jazzily improvise and expand on the pieces, while keeping the underlying arrangement intact to make sure that the pieces are kept recognizable. The duo are clearly very comfortable playing off of each other, making intuitive choices of when to drive the piece forward and also when to slow the action down. The listeners are carried effortlessly through the rises and falls of each piece, providing an easy listening experience. It is not any sort of monotony or emptiness, but rather this ease of listening that makes the music suitable as lullabies. 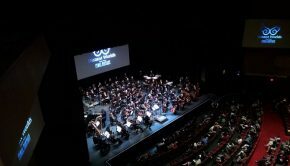 Indeed, the performances are filled with a passion and sensitivity that also make the music suitable simply for listening pleasure or as accompaniment through one’s day. The opening section of the album is the most lively and jazzy, starting with “Lifestream” from Final Fantasy VII. It’s a spacious arrangement that predominantly features the piano. Even before the fully improvised sections come in, the jazz approach is revealed immediately through the added chords and their ad libbed structure. The song begins simply but as it goes on the decorative flourishes increase in complexity and frequency, easing the listener into the feel and concept of the album. The saxophone only makes a short cameo appearance near the end, but is featured in full for the next song, the bubbly and playful “Dire Dire Docks” arrangement from Super Mario 64. 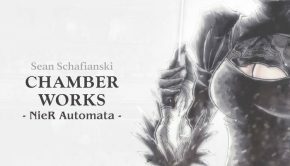 After that, “Song of the Ancients” from Nier and “Lost Painting” from Castlevania: Symphony of the Night keep the momentum going but with a darker mood. These two tracks would not be out of place at an old nightclub, with the saxophone crooning and the piano giving it ground. From here the jazzy chord progressions are noticeably toned down, though the embellishments are all still present. “Maiden in Black” from Demon’s Souls brings the album nearly to a halt with its slower, more meditative atmosphere. While the original was already sparse and quiet, the duo changes the mood from unsettling to one that is more mournful. 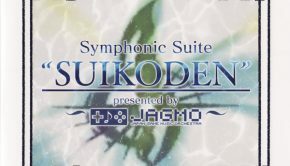 A light echo permeates the arrangement of the “Main Theme” from Suikoden, and the slower arrangement here also gives the hopeful track an interesting tinge of sadness and longing. “Singing Emotions” from Chrono Cross was already quite relaxing, but here it is given a brighter and more fun waltzy feel. Although these three tracks seem more straightforward, they make subtle changes to moods of the original tracks that make them fresh. The final stretch of the album is the most atmospheric. “A Wish…” from Secret of Mana is sensitive and sorrowful like the original. Hibino on saxophone gives some nice nods to the game’s score with virtuosic trilled high notes that sound like they should be coming from a woodwind instrument. “Auriel’s Ascension” from The Elder Scrolls IV: Oblivion has a few haunting chimes and other effects throughout that are chilling when combined with the instruments. “Aquatic Ambience” from Donkey Kong Country is the closing track. Although it is not as mysterious as the original, AYAKI really captures the calmness of a body of water on the piano while the Hibino’s saxophone notes float about in the light currents. It’s an immersive and sublime track, as well as a fitting end to the album. 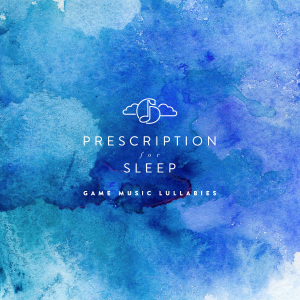 Prescription for Sleep: Game Music Lullabies is a fantastic album of relaxing arrangements. While the concept could have allowed for a much easier and simplistic approach, AYAKI and Hibino give it their all in crafting an album that is relaxing but also thoroughly engaging. The jazz angle allows for the tracks to be expanded on for a new experience, while also not becoming tiring or repetitive. Throughout the album, many different styles and moods are also explored. It is a work not only of fine craftsmanship but also intense care, as each track is flawlessly executed and also infused with emotion. This is an album that is easy to recommend to anyone, regardless of their background of the games and their music. Hopefully, there is more to come from this brilliant duo. Posted on July 26, 2014 by Christopher Huynh. Last modified on July 26, 2014. Nice review. Good to hear they significantly improvised on the source material.